This is most probably because you have the ULPS feature active and in this case the secondary GPU is switched off in idle, so HWiNFO cannot read the actual values. When a GPU is off because of ULPS, trying to read any of its registers can cause a complete system lockup, so HWiNFO skips it. 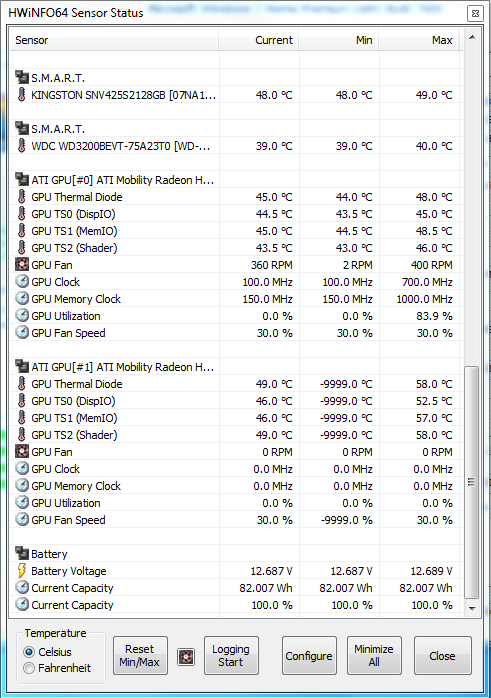 You can either put some load on the 2nd GPU or disable ULPS if you don't care much about power consumption (via registry or using the SAPPHIRE TriXX tweaking tool).